Starting last Wednesday the team took over an incredible state of the art apartment in the centre of London to host 65 media for pre-briefings and interviews on the new HTC One M9 smartphone. After receiving a full run down of the beautifully designed new device from Graham Wheeler, HTC’s head of product, media were able to try out the product features in situ utilising different areas around the apartment. There was no chance for rest however, as two days later three members of the H&G team were off to Barcelona to support on the launch, whilst another three members planned their own launch live stream event for media not travelling to MWC in the UK. 45 media titles from the UK ended up attending the HTC launch in Barcelona and it was fair to say jaws hit the floor when not only the HTC One M9 and HTC Grip fitness band were revealed, followed by a show stopper, as HTC revealed a new working relationship with gaming juggernaut Valve and the creation of the first interactive virtual reality headset – Vive. 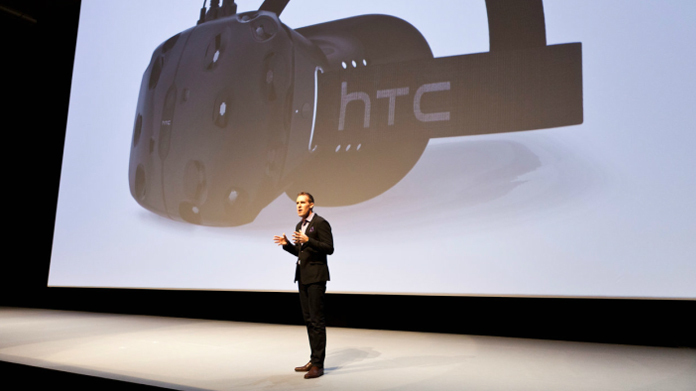 Needless to say social media went mad and HTC became the most talked about brand at MWC. The coverage followed – 515 pieces in under a week – with the HTC One M9 receiving 322 pieces in five days, a 24% increase on last year’s most awarded smartphone, the HTC One M8. Breaking down the numbers we managed to generate 24 pieces of print and 37 pieces of broadcast, hitting every major national paper as well as getting pieces in major lifestyle titles like Esquire, Shortlist and AskMen. Added to this we also made the front cover and lead story in Stuff Magazine for the second year running, with T3 to follow and yet more front covers up our sleeve as Vive takes full grip with extensive media testing to come.